The Law of Attraction: Would Bourdieu Approve? If you have never come across the Law of Attraction it is probably best described as a philosophy that mixes spirituality, psychology and quantum physics. The mass appeal of the Law of Attraction over the last decade is understandable. It offers us a cosmic Other and hope. Packaged for a mass audience, an entire industry has been generated offering us a way out of the small space we have been allocated in life. Graham Lineham hilariously lampooned it in an episode of the ‘IT Crowd’ and the idea of thoughts manifesting things is bound to attract derision. The most interesting idea, for this discussion, lay at the heart of The Law of Attraction; our thoughts and actions are determined by paradigms – clusters of habits- that have been imprinted on our subconscious by external forces since birth. Bourdieu, a French sociologist called this our ‘habitus’ and reading his work significantly raised my consciousness about my own working class paradigm and why I often feel uncomfortable in situations that fall outside this conditioning. The lag between my class and gender habitus and arenas in which I wish to operate is known in Bourdieu’s framework as the hysteresis effect. My habitus is a comfort zone that has propelled me on a particular trajectory and my beliefs and actions are geared towards this, subconsciously (and if I’m honest, sometimes consciously). Bourdieu’s work is a way of viewing class and gender boundaries as a socially determined means of protecting distinction and privilege. If I don’t like the trajectory my habitus has prepared me for, then I need to stretch that habitus. If we ignore the metaphysics, the Law of Attraction has something in common with Bourdieu’s sociological framework; it recognises this gap between habitus and individual ambition, seeing the de-programming of our subconscious as a way out of a socially restrictive existence. If we want to be wealthy, so goes the teaching, then we should ‘act as if’ we already are. Dress, talk and act like a millionaire. For Bourdieu, this is learning the rules (the doxa) of a new game in order for us to expand our habitus and equip ourselves to operate in a different sphere and at a different level, losing those feelings of discomfort. Changing our attitudes, knowledge and behaviours is, in Bourdieusian language, accruing cultural capital. The Law of Attraction sees this as alignment between our desires, emotions and actions – throw in some help from the Universe and it is a heady mix. Where Bourdieu and the Law of Attraction diverge is in the balance between individual free will and structural power; Bourdieu sees this as a subtle interplay where individuals must negotiate structural boundaries that are externally constructed for the benefit of the dominant class (and we can see this very clearly in terms of gender). Feminism’s goal is to encourage self-actualisation in women. This could be seen as entirely compatible with the philosophy of the Law of Attraction. It encourages a ‘know thyself’ consciousness-raising that might well be helpful to women who, in the same way that class throws a boundary around our identity, find their culturally-approved feminine identity suffocating. Breaking free from oppressive paradigms means unlearning beliefs, attitudes and behaviours with which we have been inculcated – shifting from a patriarchal paradigm to one of emancipation. The recognition that we have been conditioned by external forces to accept certain ideas is powerful. If we can unlearn, for example, those masculine and feminine traits that appear ‘natural’ to us we have a much better chance of achieving an androgynous future (yes, this is a good thing!). Of course, the Law of Attraction does not have an explicit feminist agenda and – let’s face it – most of us just want to get rich. Blurring the rational/emotional dichotomy may be good for us. The Law of Attraction challenges our acceptance of the mind/body split. Certainly, women have often found themselves on the wrong side of these binaries ever since Apollo and Dionysus split our psyches into two. A philosophy that allows individuals to step outside their habitus and challenge social order is a step in the right direction. I am wondering aloud whether some of the techniques in the Law of Attraction can be sociologically applied to undo our gender and class conditioning. Imagine if children could freely explore their potential free of class or gender conditioning. Imagine if women could slough off limiting ideas of femininity and just be. I’m not sure Bourdieu would have wholly approved of the selling of a dream to people, but I do think he would have been fascinated by the sociology of it. Although I have long since parted company with religion, I do want to have an open mind about the metaphysics. In some ways I can buy into the idea of dissatisfaction being the driver for achievement and who wouldn’t want a shortcut? 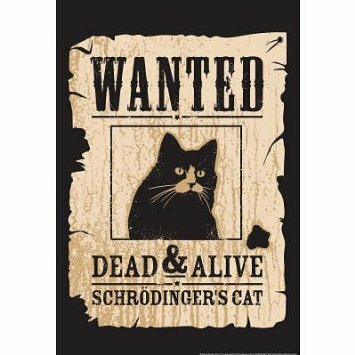 Quantum physics is weird and if electrons can be in two places at once, if Schrodinger’s cat can be alive and dead at the same time then maybe something at the Planck level can work for us. Unfortunately, if I try and visualise a pile of cash I now only see Prof. Brian Cox rolling his eyes. But if in one of the infinite realities out there I am uber successful, could it be this one? This entry was posted in Feminism, Uncategorized and tagged Bourdieu, class, distinction, doxa, Feminism, habitus, law of attraction, quantum physics, schrodinger's cat, sociology, subconscious mind, the secret on January 11, 2016 by Sharon Jagger. A Feminist Utopia in the Early Christian Church?